I need a break for at least one night. I’ll post something tomorrow. Lisa Littman’s study on rapid-onset gender dysphoria, initially published as a poster abstract in the Journal of Adolescent Health, recently came out in full-form in PLoS ONE. 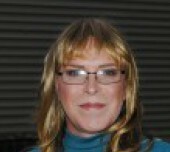 The article is making waves, because it purports to show the existence of a new developmental pathway for gender dysphoria, termed rapid-onset gender dysphoria, which would be distinct from traditional presentations of late-onset gender dysphoria and raise doubts as to the appropriateness of gender-affirmative care for a significant subset of transgender teenagers and young adults. Now it hurts if I move around or sit too long. There seems to be a constant discussion from certain quarters regarding someone de-transitioning or discontinuing their transition. Possibilities of regret. The unquestioned threats of rejection, ostentation, violence, even death. Looking in from the outside there seems to be little incentive to be Transgender at all, never mind trying to live an honest, authentic life every day. Of course, when you find yourself looking the other direction you understand it isn’t a decision made lightly. There is nothing spur of the moment. Every step is taken only after long deliberation, sometimes to the point of a physical pain. Only after there are no more questions except if you’re going to live or die. These thoughts and so many more have filled my waking hours and restless dreams for a long time. Sometimes they are little more than whispers, others they are the screaming winds of the storms which threaten to tear me to pieces. I have made every excuse, listened to more opinions than I can count. I have read the articles and buried myself in hateful comments looking to embrace the condemnation, the hate, the spite hoping they would finally break me and thereby set me free. Here, in the end, I am once again left facing myself, stripped bare with no where left to hide. Do you know what I have found? It doesn’t matter how much I try to deny myself, the truth always rises to the surface. Time and time again I have tried to convince myself I could maintain a masquerade, that I could continue simply surviving from one day to the next while fooling those around me into believing I was fine when I was anything but. Of course it never worked regardless of what I told myself. The wrong name or pronouns became like physical blows. My dysphoria a constant blade cutting to the depths of my soul. Going out lead to my becoming hyper aware of everything. The feeling of my clothing, the movement of my hair, the stride of my walk, the tone of my voice. Everything is wrong and it feels as though anyone who sees me is either whispering or laughing. All things which disappear when I’m in the world as my authentic self. It’s not a costume or a lie or a deception. It is me finally being honest with myself and the world.